Most people suffer from nausea, at least occasionally. Whether the nausea is due to motion sickness, illness, pregnancy, or some other cause, nausea can be very frustrating. For many people, the medications that have been developed to deal with nausea are either not helpful or are not a good option. Some of the medications are prohibited during pregnancy, for example. Many nausea medications may have unpleasant side effects, such as making you extremely sleepy. For this reason, some people have turned to alternative medications to help ease their nausea. These kinds of treatments can vary from the use of herbs to anti-nausea wristbands, to drinking a variety of teas. 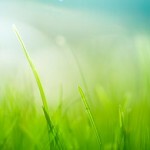 Many people have found success with aromatherapy recipes to ease their nausea. One aromatherapy recipe that is often used to ease nausea includes the use of ginger. 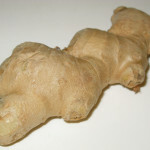 Ginger is particularly known for its ability to ease the stomach, regardless of the cause of the nausea. A drop or two of ginger, whether it is placed in an inhaler or it is simply breakted through a tissue, may be able to ease your nausea. Mints are another common ingredient in aromatherapy recipes designed to ease nausea. Peppermint and spearmint, in particular, are thought to have properties that will help settle the stomach. In fact, this is where the tradition of the after-dinner mint came from. 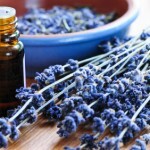 Other ingredients in aromatherapy recipes that may help to ease nausea might include Anise, Basil, Black Pepper, Cardamom, Chamomile, Clove, Lavender, Rose, Sandalwood, and Spikenard. If your nausea is particularly severe, you might try this recipe. You will mix 1 drop of basil, 1 drop of peppermint, 1 drop of lavender, and 2 teaspoons of carrier oil. Rub your hands together to warm up the oil. Then you will massage the mixture gently over your belly. Afterwards, you can place your hands in a cupped position over your nose and your mouth for a few minutes before you wash your hands.